What is Venus Viva ReVive? The ergonomic shape of the tip contains 160 pins with a 150 um pin size, which is placed on the skin’s surface. 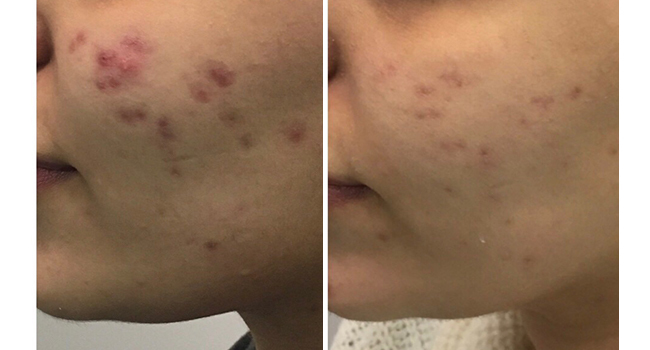 The tiny pins smoothly penetrate the skin and deliver the NanoFractional RF energy through the epidermis into the dermis using the SmartScan technology. 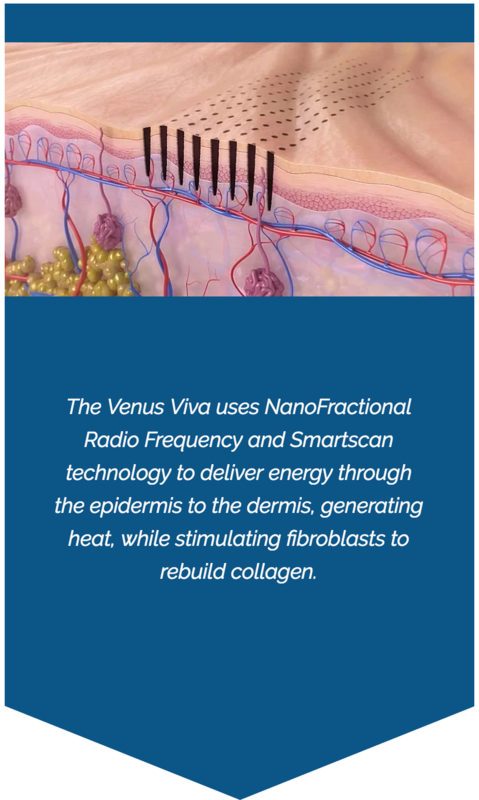 The SmartScan technology delivers the RF energy in pattern that prevents the bulk heating of the tissue, reducing possible side affects and allowing for a more comfortable treatment. 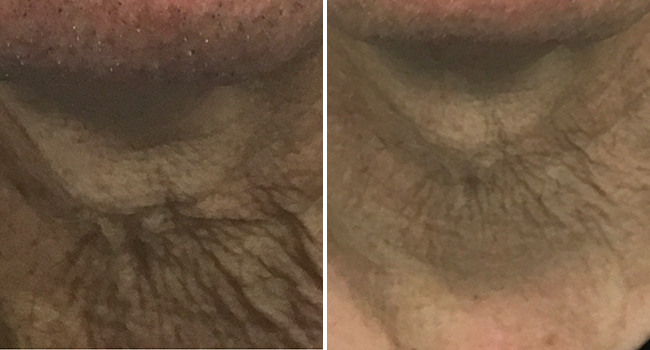 Skin is ready for infusion of a nutrient rich, dermal restructuring complex specific for promoting cell regeneration. Minimal downtime and makeup make be applied after 24 hours. Download pre and post treatment instructions for Venus Viva ReVive: here. 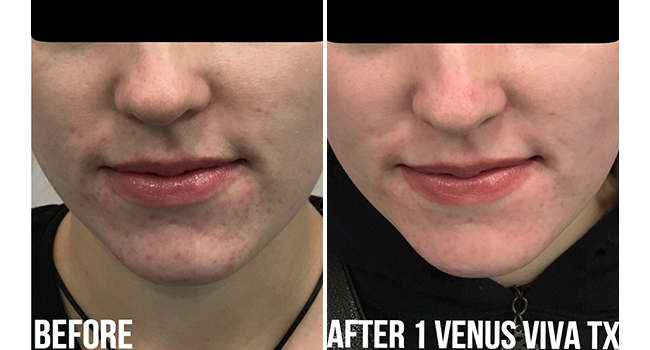 For Venus Viva ReVive treatments in northwest Calgary, book a free consultation at Fresh Laser Skin Studio! You can schedule an appointment online or you can give us a call at (403) 264-4494 to get started.